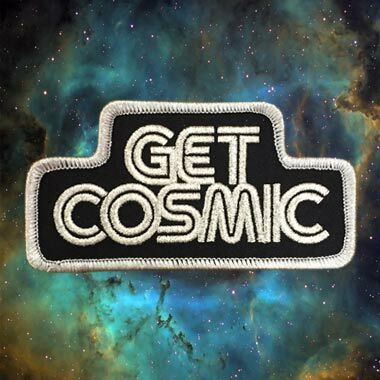 Draplin Design Co.: DDC-125 "Get Cosmic Patch"
Perfect for space suit or crusty jean jacket, whatever the mission at hand. 03. Durable embroidery. Will last for 1,000,000 light years. 04. 4” wide and 2-1/8” tall. 05. Manufactured by our fellow cosmonauts at Brewery Outfitters. 07. We’re a speck within a speck within a speck. Within one skrillion specks.